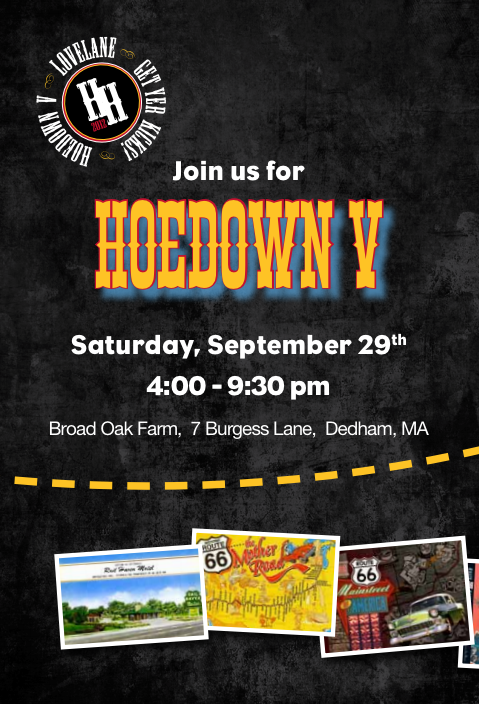 Grammy Award Winner Tedeschi Trucks Band will headline the 2012 Hoedown V on September 29, 2012, helping to raise funds to benefit Lovelane Special Needs Horse Riding Program, a therapeutic horseback riding program in Lincoln, Massachusetts. The highly-anticipated biennial event is the premiere fundraiser for the Lovelane program. This year’s theme is “Get Your Kicks on Route 66.” In addition to Tedeschi Trucks Band, Hoedown V will also include a live set from the James Montgomery Band. Guests are encouraged to dust off their cowboy boots and dress casually for a night of dancing, eating and mingling, all to benefit the children with special needs who participate in Lovelane’s therapeutic riding program. Many of Boston’s best chefs have already signed on to participate in the event, including Marc Orfaly of Pigalle, Mark Goldberg of PARK, Rodney Murillo of Davio’s, Dave Becker of Sweet Basil, Christopher Coombs of Deuxave, Peter Davis of Henrietta’s Table, Courtney Forrester of Sweet, Andy Husbands of Tremont 647, Phyllis Kaplowitz of Baker’s Best Catering, William Kovel of Catalyst, Geoff Janowski of Blue Ribbon BAR-B-Q, Sam Mason of Oddfellows Ice Cream Co., Seth and Angela Raynor of Boarding House, The Pearl and Corazon del Mar, Jeremy Sewall of Island Creek Oyster Bar and Paul Sussman of Back Deck. As a special treat, Island Creek Oyster Farm will be on hand to offer a Raw Bar and Wiches of Boston will be producing ‘Adult’ milkshakes. 0 Response to "Lovelane's Hoedown V - 9/29"